Every six years, we start again with a fresh electoral (membership) roll. This is the year for a new one, so even if you have been on the roll before you need to get the new form to complete. Membership enables you to vote at the Annual Parochial Church Meeting (APCM) and, if you wish, to stand for election to the Parochial Church Council (PCC), to the Deanery Synod or as Churchwarden. Parents who are considering sending a child to Ranelagh School should also be aware that membership of the church roll is a criterion for admission. To join or to continue as a member, you will need to fill in a new 2019 application form. Please note that if you don’t fill in a new form, you will cease to be a member of St Michael’s Electoral Roll. We are not allowed to automatically transfer your name from the old roll to the new one. If you regularly worship with us, are baptised and consider yourself a member of the Church of England, you should fill out a form. Any questions, please contact the Electoral Roll Officer, Claire Clay, or one of the churchwardens. If you wish you can print off the Membership form below, complete it and bring it along to church. There is also a pledge form for you to use. Note that the deadline has already passed for joining in time for the APCM. The first mention of a church on our site was in 1220. ​To mark eight hundred years of continuous Christian worship on the same site there will be a variety of celebrations. They will start at Michaelmas (29th September) 2019 and will continue until the end of 2020. The celebrations will include a flower festival over the Michaelmas weekend in 2020, as well as several events which utilise the abilities of members of the congregation. .
​The design shown will be used in a banner to be created for the anniversary. 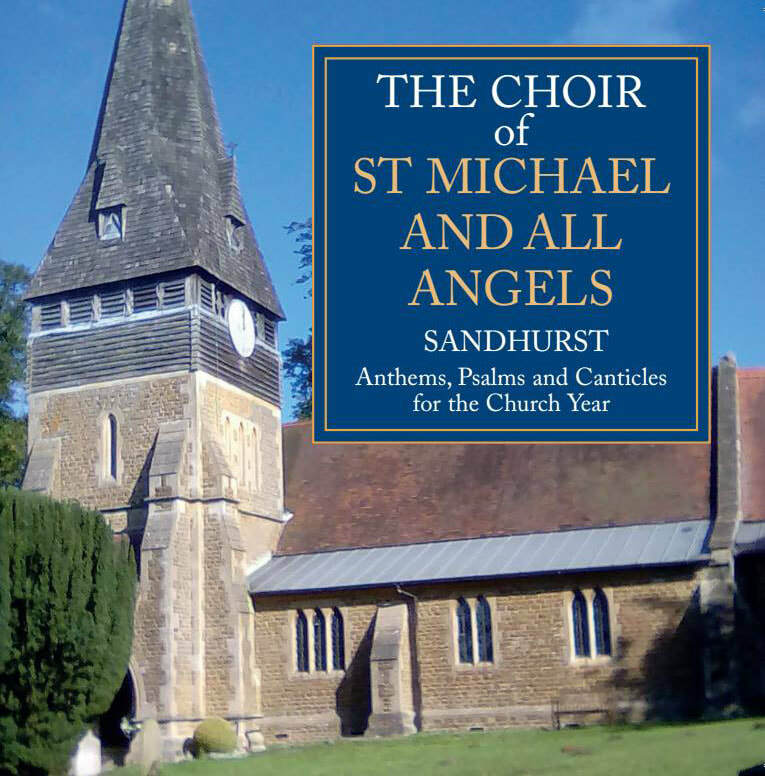 The CD by the Choir as below is available at £10. Our History and Guide booklet was thoroughly revised and expanded in 2017. It is available at the back of church and the parish office for £3.00. This booklet provides a lot of information about our church, both past and present. ​A taster of the contents is available on the History pages.